In 1986, the International Union for Conservation of Nature listed Sri Lanka’s elephants as an endangered species as the nation’s elephant population had declined by 50%. According to the Wildlife Conservation Department of Sri Lanka’s census in 2011, only 5,879 elephants remain in Sri Lanka. Out of the 5,879 elephants, only 8% of the male elephants in Sri Lanka grow tusks and cross tuskers are extremely rare. Elephants have a close association to Sri Lanka’s history as they are engrained in the country’s traditions and religions. For instance, Raja Atha, another tusker elephant, is widely known for having carried Buddha’s tooth relic during the Randoli Perahera, one of Sri Lanka’s most celebrated Buddhist festivals, for 37 years until natural illness took Raja’s life. The international illegal wildlife trade is estimated to be worth US$23 billion annually and continues to be on the rise each year as nature’s magnificent animals begin to become extinct. The ecological impacts when entire animal species become nonexistent are deep rooted and are more deadly to the planet in the long run. 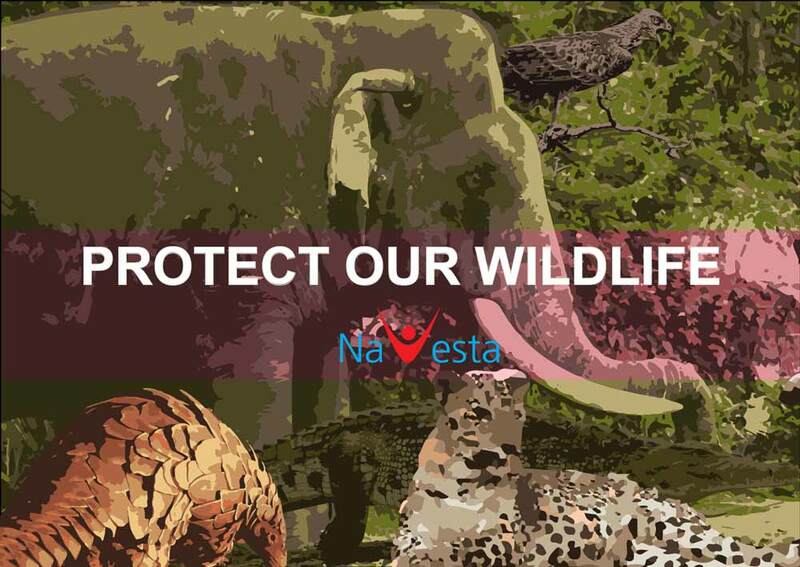 Navesta Pharmaceuticals stands against the destruction of nature in these wildlife crimes. As a company which believes in curing lives through medicine that’s found in nature, we stand against the illegal destruction of these ecosystems all for a display gain. The long-term impacts on the environment when a species becomes extinct is something which is unpredictable as ecosystems become unbalanced. Life-saving medicine today is not just formulated in a lab, it’s found in nature. 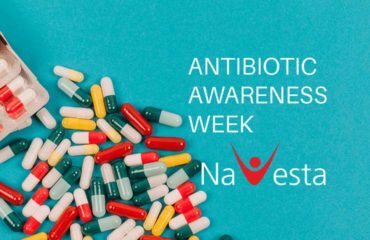 The antibiotics which Navesta manufactures are not man-made compounds. Antibiotics are one of the world’s most valuable medicines and are produced in nature by soil bacteria and fungi. The ramifications of an unbalanced eco-system is a domino effect as it causes the destruction of the other wildlife and plants. The interrelationships nature has is so intricate that when one component of the ecosystem changes, a chain of disruptive events can occur. 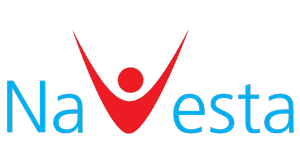 As a Sri Lankan company, Navesta believes that the biggest valuation we have as a nation is our nature. The protection of this nature is imperative to preserve our history and to ensure a continuing luscious biodiversity for our next generations. The brutal killing of Galgamuwa’s Cross Tusker brings closer with it the extinction of this elephant species which has been honoured in our history. 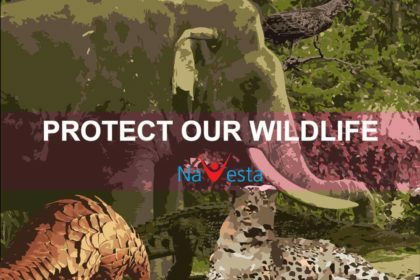 Awareness and condemnation of illegal poaching in Sri Lanka is not just the government’s responsibility, it needs to come from us all; as responsible citizens of this great nation. Wildlife poaching is a crime and should be treated as such. නොවැම්බර් 29 වෙනිදා ශ්‍රී ලංකාවේ සුවිශේෂී වන ජීවීයෙකු වූ ගල්ගමුවේ දළ පූට්ටුවාගේ මෘතදේහය පසුගිය මාස ගණනාවක් අතුරුදහන්ව තිබී සොයාගනු ලැබිණි. මෙම සත්ත්වයා අවුරුදු 50 ක් වයස ශ්‍රී ලංකාවේ ජාතික රක්ෂිත වනෝද්‍යානවල සැරි සැරූ අන්ධ දළ ඇතෙකි. දඩයක්කරුවන් උගේ දළ ලබාගැනීම පිණිස කුරිරු ලෙස මෙම ඇතා ඝාතනය කර තිබිණි. ශ්‍රී ලංකාව අලි ඇතුන්ගේ සිට නිවර්තන කලාපීය කුරුල්ලන්, දිවියන් වැනි දුර්ලබ සතුන් රාශියකට වාසස්ථාන සපයන බැවින් දඩයක්කරුවන්ට ආකර්ශනීය රටක් වී ඇත. දඩයම්කිරීම වනජීවීන් කෙරෙහි අතිශය බරපතල අපරාධයක් වන්නේ එය හුදු ඔවුන්ගේ සම් හෝ ශරීර කොටස් ලබා ගැනීම පිණිස මුළු සත්ත්ව විශේෂයම සම්පූර්ණයෙන් ම විනාශ කරන බැවිණි. රටේ අලි ගහනය 50% කින් අඩුවී තිබුණ බැවින්, 1986 දී අන්තර්ජාතික ස්වභාවික සංරක්ෂණය පිළිබඳ සංගමය ශ්‍රී ලංකාවේ අලින් තර්ජනයට ලක්වූ සත්ත්ව විශේෂයක් ලෙස ලැයිස්තු ගත කර තිබිණි. වනජීවී සංරක්ෂණ දෙපාර්තමේන්තුවේ 2011 සංගණනයට අනුව, ශ්‍රී ලංකාවේ දැනට ඉතිරිවී ඇත්තේ අලින් 5,879 ක් පමණි. මෙම සංඛ්‍යාවෙන් දළ සහිත පිරිමි සතුන් ඇත්තේ 8% ක් පමණක් වන අතර දළ පූට්ටුවූ ඇතුන් ඉතාමත් දුර්ලභය. රටේ සම්ප්‍රදායන්ට හා ආගමට තදින් බැඳී ඇති නිසා ශ්‍රී ලංකාවේ ඉතිහාසයට අලින් ඉතා කිට්ටු සම්බන්ධතාවයක් ඇත. උදාහරණයක් ලෙස, තවත් දළ ඇතකු වූ ‘රාජා’ ස්වභාවික අසනීප තත්ත්වයකින් ජීවිතය නැතිවන තුරු ම, ලංකාවේ උත්කර්ශව ම සමරණු ලබන උත්සවයන්ගෙන් එකක් වන රන්දෝලි පෙරහැරේදී බුදුන්වහන්සේගේ ශ්‍රී දන්ත ධාතුව අවුරුදු 37ක් තිස්සේ වැඩම කීරීම නිසා ඉතා ප්‍රසිද්ධය. ජාත්‍යන්තර නීතිවිරෝධී වනජීවීන් වෙළඳාම වාර්ෂිකව ඇමෙරිකානු ඩොලර් බිලියන 23 ක් වන බවට ඇස්තමේන්තු කර ඇති අතර ස්වභාව සෞන්දර්යයේ වටිනා සතුන් වඳ වී යෑම සෑම වසරේම වැඩි වෙමින් දිගින් දිගටම සිදු වෙමින් පවතී. මුළු සත්ත්ව විශේෂයන්ම නැතිවී යන විට සිදු වන පාරිසරික බලපෑම් ගැඹුරට මුල් බැස ඇති අතර දිගු කාලීනව පෘථිවියට වඩාත් අහිතකර වේ. නවෙස්ටා ෆාමසූටිකල්ස් මෙම ස්වාභාවික පරිසර විනාශයන් වලට එරෙහිව නැගී සිටියි. ස්වභාවධර්මය තුළ ඇති ඖෂධ හරහා ජීවය සුව කිරීම කෙරෙහි විශ්වාස කරන සමාගමක් ලෙස, අපි මෙම පරිසර පද්ධති හුදු ප්‍රදර්ශනය සඳහා නීති විරෝධී ලෙස විනාශ කිරීමට එරෙහිව පෙනී සිටින්නෙමු. සත්ත්ව විශේෂයක් වඳවී යන විට, පරිසර පද්ධති අසමතුලිත වීමෙන් ඇතිවන දිගුකාලීන පාරිසරික බලපෑම් කලින් කිව නොහැකිය. අද ජීවිත බේරාදෙන ඖෂධ හුදු විද්‍යාගාරයක් තුළ සාදන ලද ඒවා නොවන අතර ඒවා ස්වභාවධර්මයෙන් සොයාගන්නා ඒවාය. නෙවෙස්ටා නිපදවන ප්‍රතිජීවක කෘත්‍රිම ව සෑදූ සංයෝග නොවෙයි. 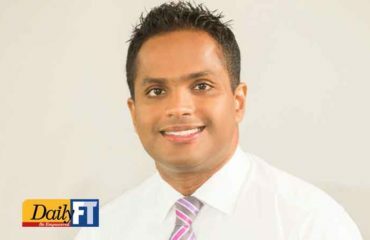 ප්‍රතිජීවක ඖෂධ යනු ලෝකයේ වඩාත්ම වටිනා ඖෂධවලින් එකක් වන අතර, ඒවා පසේ සිටින බැක්ටීරියා සහ දිලීර වලින් ස්වභාවයෙන් නිෂ්පාදනය කරනු ලැබේ. එක පෙළට තැබූ දාදු කැට පළමු වැන්න පෙරලීමෙන් පසු එකක් පිටුපස එකක් පෙරළී යන්නාක් මෙන්, අසමතුලිත පරිසර පද්ධතියකින් ඇතිවන ප්‍රතිවිපාකය වන්නේ අනෙක් වනජීවී හා ශාක විනාශ වීමයි. පරිසරයේ ඇති අන්තර් සබඳතා කෙතරම් සියුම්ද කියනවා නම්, එක් සංරචකයක් වෙනස් වන විට, විනාශකාරී සිදුවීම් මාලාවක් ඇතිවිය හැකිය. ශ්‍රී ලාංකික සමාගමක් ලෙස, නවෙස්ටා විශ්වාස කරන්නේ ජාතියක් වශයෙන් අප සතු විශාලතම සම්පත අපේ ස්වභාවධර්මය බවයි. අපගේ ඉතිහාසය ආරක්ෂා කර ගැනීම සඳහාත්, අපගේ ඉදිරි පරම්පරාවන් සඳහා අඛණ්ඩ සාරවත් ජෛව විවිධත්වය සහතික කිරීමටත් මේ පරිසරය ආරක්ෂා කිරීම අත්‍යාවශ්‍යය. ගල්ගමුවේ දළ පූට්ටුවා කුරිරු ලෙස මරා දැමීම, අපේ ඉතිහාසයේ ගෞරවාදරයට පාත්‍ර වූ මෙම සත්ත්ව විශේෂය වඳවීමේ තර්ජනයට ලක්වෙමින් ඇති බව පෙන්වන ආසන්නතම සිද්ධියයි. ශ්‍රී ලංකාව තුළ නීතිවිරෝධී ලෙස සතුන් දඩයම්කිරීම පිළිබඳ දැනුවත් වීම සහ එය හෙළා දැකීම රජයේ වගකීම පමණක් නොව. මෙම ශ්‍රේෂ්ඨ ජාතියේ වගකිව යුතු පුරවැසියන් ලෙස අප තුළින්ම ඇතිවිය යුත්තකි. වන සතුන් දඩයම්කිරීම අපරාධයකි. එය ඒ ලෙස ම සැලකිය යුතු ය.